Now I have to start this post by reassuring readers that this hill isn’t really grievous – it’s just my play on the Gaelic sound of the name Guibhais – in Gaelic bh = v – therefore I always imagine it sounds like Jonathan ‘Wossy’ Ross saying ‘grevious’ 😆 It’s actually a very nice hill indeed and another tick on my ‘Corbett’ list – not that I’m ever going to be doing ‘The Corbetts’. 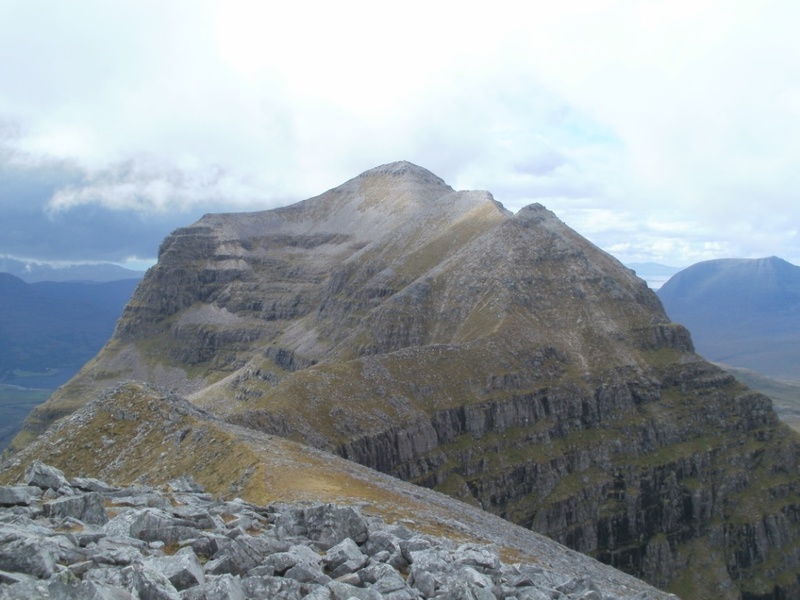 As he hadn’t managed to make my Munro Compleation walk in May up Ben Lui (through no fault of his own), my friend Mark kindly offered to ‘take me up the beast that is Meall Dearg’ (aka Liathach’s Northern Pinnacles). Such a superbly generous offer couldn’t possibly be turned down so we set dates, booked time off and met up at the Ling Hut in Torridon. 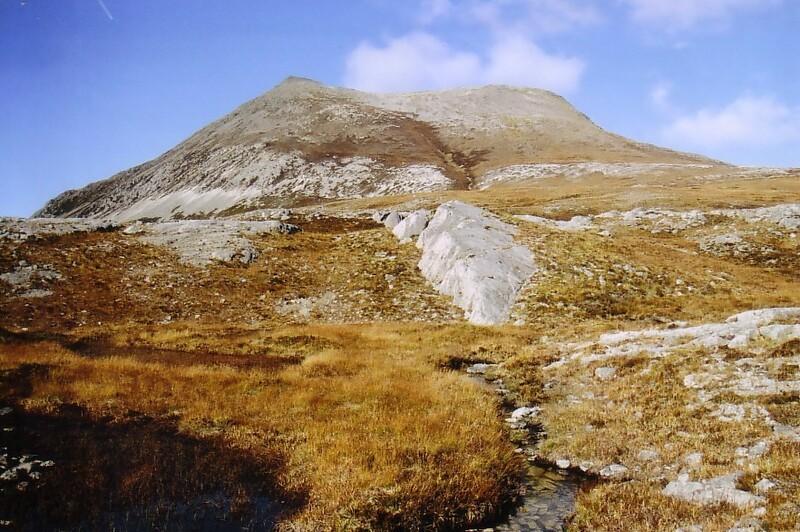 Beinn Eighe – So Good, I Almost Did It Twice! After our first two days of good weather at Torridon, the only other good day of the week was due to be Thursday so I decided we had to go and climb the western summit of Liathach – Mullach an Rathain. I awoke around 8 and heard steady rain – Richard was getting up but I told him to go back to bed for another hour or so. I eventually got up around 0930 – it was still dull and showery but the cloud was starting to lift slightly off Beinn Eighe, which was visible from the cottage, so I had a leisurely breakfast and we set off around 1030 for the carpark west of Torridon by the Abhainn Coire Mhic Nobuil.